Dragon Nest Event Extended: Join Our Guild to Win $500 Amazon Gift Cards! Dragon Nest has just announced that they will be adding PvP on August 19! 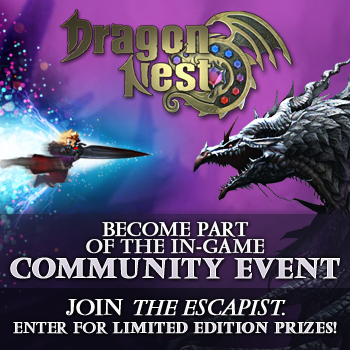 Due to this exciting news, we have decided to extend our Dragon Nest in-game Community Event through the weekend. I don't know about all of you, but I love me some PvP and this was an offer too good to refuse. In addition, you all get an extra two days to join in on the fun and have a chance to win 5 limited edition Dragon Nest branded plush poochums to give away and $500 Amazon Gift Cards!! All provided by our friends at Nexon. Don't forget: Our goal in-game is to have the largest guild on the server, so let's see what we can do! Staff members Nasrin, s0osleepie, Encaen and more will be in-game between 12pm to 5pm EDT, Wednesday through Friday this week to hang out with the community and help spread the destruction.